Alfas have traditionally been beautiful, but the Brera brought concept car looks and the sort of immaculate detailing to its body and interior that really set it apart. 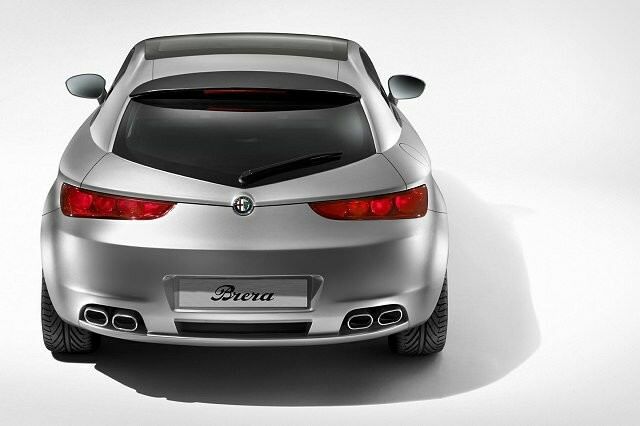 Alfa's Brera coupé arrived in 2005 replacing the long-running GTV. If its predecessor gained praise for its good looks the Brera made the GTV look like it'd fallen out of the ugly tree and hit every branch on the way down. 'Beautiful' doesn't really do its appearance justice; Alfa over delivered where it usually over delivers, so the Brera is an absolutely stunning looking machine. Alfas have traditionally been beautiful, but the Brera brought concept car looks and the sort of immaculate detailing to its body and interior that really set it apart. Like so many before it though it traded heavily on its style, the Brera not living up to its looks from behind the wheel. Best think of it as a competent and relatively practical grand tourer than an out-and-out sports car. The BMW Z4, Nissan 370Z and Audi TT rivals all deliver a more engaging driving experience. The Brera was offered with a 3.2-litre V6 petrol engine, 2.2-litre four-cylinder petrol and 2.0- and 2.4-litre JTD turbodiesels. The V6 is fast and makes a noise befitting of something looking so glorious, the diesel though makes far more sense - even if it's not so aurally appealing. All came decently specified, so expect alloy wheels, air conditioning and cruise control in its standard equipment list, a panoramic glass roof also featuring and most coming with leather upholstery. The V6 model was equipped with four-wheel drive, the others being front-wheel drive. That V6 also came with an automatic transmission as standard. There's a hatchback boot and a pair of seats in the back too, though the high boot lid and limited headroom do limit its overall usefulness. Still, it has more practicality on offer than most of its sports car competition. Tempting as the V6 petrol is it's the 2.2-litre JTD that makes the best all-round choice, blending the good looks with acceptable performance and more bank-balance friendly fuel consumption. The Alfa Brera is a sensational looking coupé that's relatively practical and, in diesel form, should provide sensible running costs. It's certain to be less reliable than its obvious German and Japanese rivals, but if it breaks down it just gives you more time to look at it. One for the enthusiasts, then.